The field of ufology has completed a historical phase where UFOs have finally been accepted by all of the aeronautical agencies of the world as a real and unexplainable phenomenon. When we say UFO, it refers to something - an object - that flies, and that is unidentified. In no case, at least up to this point, can we assume it’s an extraterrestrial craft. The "extraterrestrial craft", as a concept, arises from certain testimonies, with few reliable records, which claim a "technological appearance." This is why this type of UFO could be called a technoform UFO. It is this UFO that captures the interest of researchers, scholars and adepts in ufology. This technoform UFO transports us to a fantastic kingdom, to a subject unfortunately lampooned by authors and story tellers alike. The technoform UFO brings us to encounters with aliens, meaning, as the true meaning of the word indicates, a being-other, an 'alius', simply, an "Other." Once we establish that UFOs are in fact spaceships with extraterrestrial origins, we can then begin to speculate. One question we can ask is, "since when did these visitations occur?" It is a question that points to history. Another question we can ask is, "where do they come from?" All in all, the issue that most deeply concerns us is, "what does this otherness want?" For us humans, everything happens for a reason. This premise forces us to assume that this otherness has an intelligent plan. Assuming they’re self-conscious beings, we need to ask ourselves why they’re being elusive, "what is the purpose?" So far, any questions with regards to alien intention falls under the field of exopolitics, with its prefix of ‘exo-’ that indicates that it is external; from outside. Exopolitics is the art or science of government as concerned with creating or influencing policy toward extraterrestrial phenomena and extraterrestrial beings. It happens that these exopolitics —not understood here as a social movement due to governmental disclosure— has lost sight of the fact that if there is an intention, say, observing our culture, then there is an "inter-political" implication. This is confirmed by the fact that such an implication has manifested itself in countless events related to interactions between human being and this otherness. 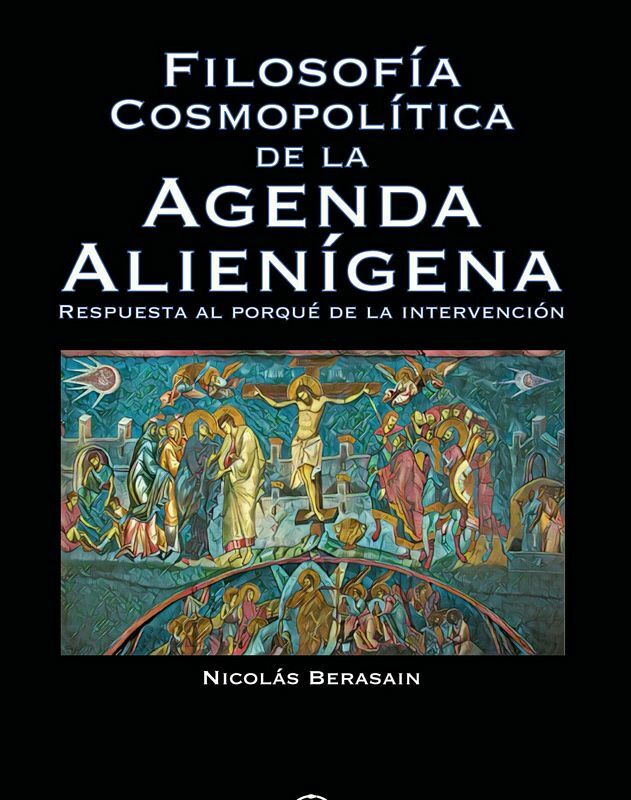 In the form of “gods, civilizing heroes or Kulturbringern, angels and demons”, the otherness has come into contact with Humans centuries and millennia ago. It is not exopolitics but politics which brings together different forms of self-consciousness in the universe. So, let us call it Cosmopolitics. Happy holidays from all of us at JAR Magazine. We'll be seeing you in 2018. Apart from those who live in the generally agreed-upon consensus reality, most other people who have reached a slightly higher-level consciousness accept the existence of two worlds, beside the everyday one also the existence of mostly hidden, alien territories which they got a glimpse of through some extraordinary experience that shook up their previous beliefs. Now these subtle, ununderstood occurrences follow them like a shadow that they try to invite into their lives if seen as positive, or push away if the contrary is the case, preferring to be immerged into the so-called objective reality and the usual well-known lover-level, mostly emotional responses to it. Luckily, we now have the increasingly spreading quantum concept of all possibility and nothing-is-strange-anymore premise. Whether what is going on is possible or not is no more a heavy question pursuing us in our solitude into which we retreat for not being able to share it with the others. Whether it is anxiety-provoking or uplifting, whether we feel privileged or victimized, it is always something huge and undeniable, a presence on the frontiers of the obvious, on the outskirts of the normal, but seemingly not concerning many people that we share our daily light with. Being aware of how much there is out there that I don't understand makes me feel somewhat melancholy. There is so much of it that I cannot have the upper hand over, in contrast to our civilization's must number one, which is to control, keep everything in sight, explainable, answerable, solvable. I am glad that in recent years we have come across so much information, theoretical and experiential, of what else reality might be. It is multilayer, flexible, moving, and changing. 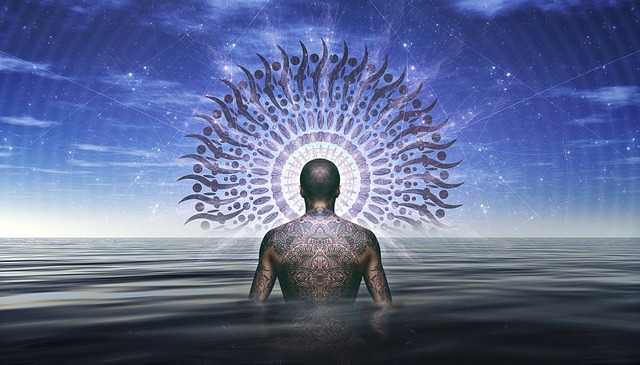 We are part of its fabric without totally realizing it, with our normal awareness only observing it from the outside, with little conscious access to its deeper, more interconnected layers where we would see the oneness of it all, and will be seen as what we really are, its consistent parts and co-creators. 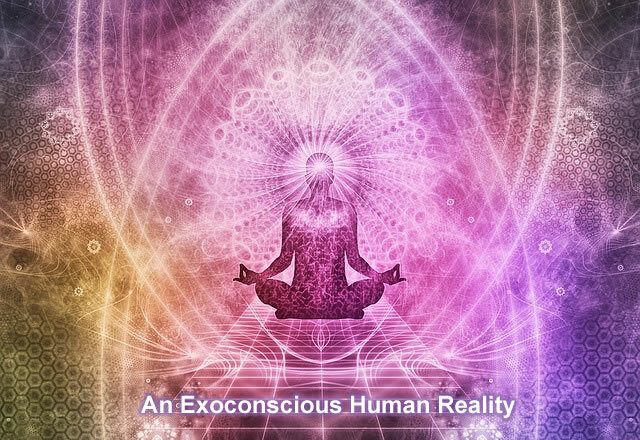 This article examines and expands the concept of an Exoconscious Human Reality via 1) Philosophy and Quantum Science, 2) A contrast and comparison of Exoconscious Reality with Virtual Reality (VR) Technology, Military Mind Control Programs and 3) Mature, Multidimensional Extraterrestrial Experiencers as the Source of Exoconsciousness, and ultimately, ufology. Who am I and what is the nature of reality? In my twenties, long before I was consciously aware of the ET presence on Earth, a series of events transpired that made me acutely aware my concept of reality was inadequate. As with all of humanity, it was the frustration and pain of my inability to make sense of the world that got my attention. From that point forward, I became a seeker of truth. Over the next decade I took a searching and fearless inventory of my own psyche and my relationship to the cosmos at large, and as that analysis progressed an insatiable curiosity to understand the world grew within me. I would no longer take circumstances at face value as I recognized law, order and intelligence behind all creation. Determined to hone my ability to focus and analyze circumstances, my consciousness was beginning to wake up. As the years flowed by I investigated metaphysics, the fundamental nature of reality and the cosmos through books and classes. I pursued religious and spiritual studies that included to varying degrees Christianity, Buddhism, Hinduism and the new age spiritual philosophy of Science of Mind. At the same time, I was mesmerized by the workings of the human mind and emotions, eventually reading many dozens of books on psychology and personal growth. As my trust in the universe and how it works was growing, I included in my studies natural health and healing methods that included the ancient Indian Vedic traditions. By the time I reached my late thirties, although I recognized the duality of life I felt confident that underlying all appearances, there was logic. I considered myself to be fairly grounded with a reasonable grasp of a reality that I knew was immense and beyond my comprehension. I had come to trust a loving and infinite intelligence that I felt quite connected to. I never believed this intelligence to be a single entity that was lord and master, but rather an Energy of Intelligence of which I was a part. I also believed that I could call upon and bring to bear upon positively circumstances in my life which promoted a measure of confidence, and I saw myself on the road of Infinite Possibility. As for whether or not humanity was alone in the universe, I could only imagine the Creative Intelligence would be infinite in expression in that arena as well, but I had never spent time investigating that topic. A dramatic shift in reality takes place. In June of 1991, while camping overnight in a remote area north of Sedona, Arizona my life and my concept of reality changed forever. Because the park we had stopped at was officially a day park, there had been no other campers or vehicles in the area. At approximately 2:00 a.m. I was fully conscious and awake as I had been sitting upright for several minutes after having awakened to suspicious sounds outside. Suddenly, the back door of the van swung upright and the lights went on inside, temporarily blinding me. In a couple of seconds, my eyes adjusted and I saw reaching towards me a thin, grey arm with a hand that possessed only three fingers and a thumb. On the tip of each finger appeared to be a small indentation or suction cup of sorts. Thousands of candid testimonies about extraordinary experiences do not agree with conventional scientific explanations but force us to re-consider our ideas about "reality." They are an insistent (and building up to a point of becoming impossible to ignore) call towards becoming aware about the existence of multiple realities also interacting with ours in important ways. Modern science is based on the observation of constant or outwardly stable, communally verifiable, objective patterns and, from that basis it tries to refine its explanatory and predictive theories about those patterns. But, according to the candid testimonies of extraordinary experiences, those patterns of reality that seem immovable suddenly become flexible and manipulatable under unknown mechanisms, often in association with the presence of intelligent entities not normally encountered in ordinary reality. They indeed seem to be able to temporarily intrude into our reality system. The normal reaction to all of this is closed-mindedness. But what can we do about it? 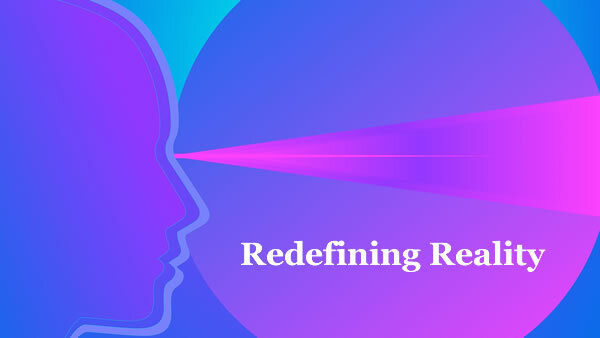 We must first understand that – in the modern era of rational and critical thinking - the default response to a sensorial perception that is normally limited to one kind of physical reality is… materialism. The empirical, materialist, scientific attitude that still prevails (despite some 100 years of quantum physics) accompanies and reinforces our innate interpretive psycho biological tendencies necessary to face a stable physical outer world in which - although there is cooperation and symbiosis - there also is (due to the presence of entropy) the fact that life feeds on life and that our physical vehicles can easily be damaged seriously affecting our subjective experiences. That is why our cognitive processes and automatic brain responses have adapted to this type of world or stable reality system which may be rather inflexible or "dense"... in order to survive and to try to attain a modicum of day to day dynamic equilibrium (homeostasis in biological terms). Based on his research, John Mack famously said that we may have to expand our definition of reality. Thousands of abductees consistently report events that challenge the laws of physics. They mention how they were 'floating' in the air, while being transported straight through solid objects like windows, doors, walls or ceilings. They describe how they feel their cells are being taken apart. They experience temporal anomalies. They encounter beings that seem to step in and out of 3D-reality. The primary mode of communication of these beings is telepathy. They are being taken to environments where time and space seem to behave differently. One of the biggest hurdles to being an experiencer is others questioning whether what happened to you is even possible. This doubt can feel all the more uncomfortable if your contact with ETs was so strange that it’s as hard for you to take as it is for those giving you the looks of suspicion, except you don’t have the luxury of disbelief when you have an unshakeable degree of personal proof (that, unfortunately, usually isn’t demonstrable to others). How does one handle that as an experiencer and what’s a recommendable etiquette for open-minded doubters? As an experiencer, reality has always been, let’s say, flexible for me. I have no choice. While others believe what is real based upon contemporary scientific interpretations, stuff keeps happening to me that’s not adequately covered in the rulebooks. I was four years old when three small greys pulled my spirit out of my physical form and put me to a test of how well I can control myself out of body. This begs the question, “Is out-of-body travel scientifically possible?” I can only offer my personal testimony of what I experienced. When I was twenty, I was surprised to find myself walking down a dirt road during the night with no idea of where I was nor how I got there. There were small houses intermittently along the road and, in front of one of them was a grey being. When we made eye contact, I found myself suddenly back in my room in my bed during daylight hours as if nothing had happened. The experience was completely real, not a dream. Four years later, on a trip to rural Northern Michigan, I shockingly found myself in the exact location of this experience by myself, in the middle of the night, while on a stroll from a buddy’s cabin…but no grey being was present. There’s more to the story, but this makes my point. Is time travel scientifically possible? I can only offer my personal testimony. When I was twenty-four, I was standing on a secluded hill with a girl I was dating when we found ourselves unwittingly circling our steps and repeating several minutes worth of conversation before we were briefly frozen in place and inspected on the spot by three greys. Are time-loops scientifically possible? I can only offer my personal testimony. Modern accepted science isn’t a big fan of time distortion at a personal level and out-of-body experiences. And, I get it. Why should anyone believe an experiencer’s unsupportable claims just because they’re sincere? The best I can offer is the truce on everyone’s part to please be comfortable with a bit of mystery for compassion’s sake. People encounter a wide variety of unexplainable phenomena on a daily basis and usually can’t defend the reality of something they don’t understand themselves. Is everything that experiencers report scientifically possible? They can only offer their testimony.